With the planned discontinuation of SOX LPS lighting by Signify (formerly Philips) coming into full force this summer – with last orders being taken on July 1, 2019 – Light Efficient Design UK Limited’s LED SOX retrofits offer electrical wholesalers, contractors and public sector specifiers swift pain-relief. 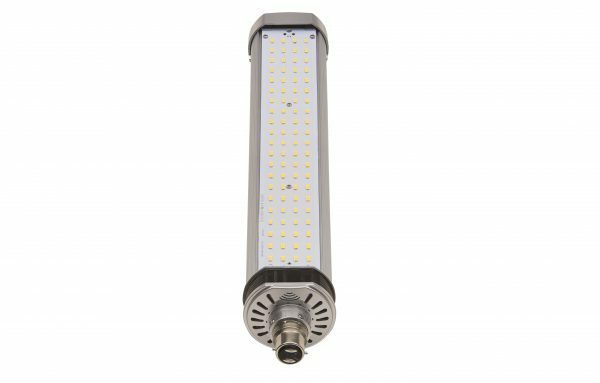 Light Efficient Design offers the most extensive, competitively priced, and energy efficient LED SOX replacement lamps on the market. They are ideally suited to traditional municipal SOX lamping applications, such as street lighting and car parks. Unusually warm 2200k amber and cool 4000k white options are available in 20, 35, 60 and 100 watts, to replace from 35 watt up to the extremely long 180 watt SOX lamp. With greater than 80 CRI, these CE approved, state-of-the-art LED lamps greatly improve visibility compared to monochromatic yellow SOX lamps. Operating temperatures range from an impressive -40°C to +50°C. Low maintenance is assured with a 50,000 hour rated lamp life, and products are backed by a five year enclosed fitting warranty. Light Efficient Design UK’s Newbury-based warehouse offers prompt delivery to UK/Ireland electrical wholesalers on all Light Efficient Design retrofit LED products.